Roses, chocolates, teddy bear and a melodious tunes in the background... Fantastic! Isn't it? Make her feel this way! 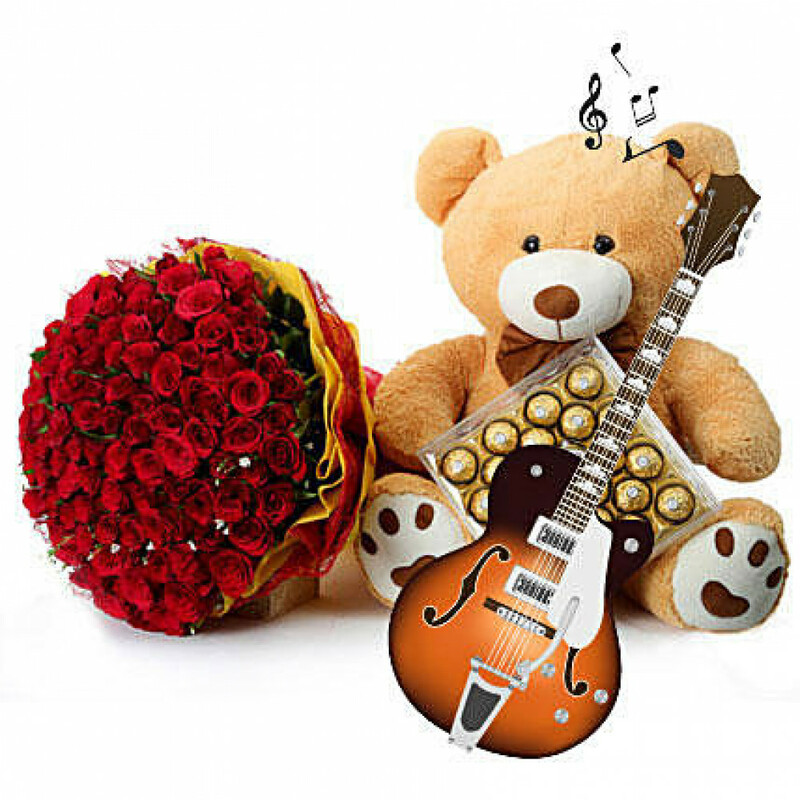 So why to wait to give her that special feeling, gift her today with this amazing hamper that includes 100 Red Roses in triple layer yellow paper, beige jute and yellow color paper packing and red ribbon, 20 inches Teddy Bear and 300gms Ferrero Rocher. What adds to this special surprise is the vocal performance by our in-house guitarist at the time of delivery.